Exceptional quality coaching and training. Affordable packages customized to meet your budget and objectives. Limited availability, please inquire. Houston, Dallas, Waco, and McAllen TX; San Jose & Oakland, CA; Los Angeles, CA including San Bernardino and Orange County; Chicago, IL; Detroit, MI, Tampa, Jacksonville, Miami, and Ft. Lauderdale, Florida, Atlanta, GA, New York City, NY (and nearby New Jersey), Denver, CO; Philadelphia, PA, Seattle, WA; Portland, OR; Salt Lake City, UT; Phoenix, AZ and Stamford, CT. Please inquire if you don’t see your location, as availability changes frequently. But… how can our coaches be any good if we’re so affordable? One answer – economies of scale. 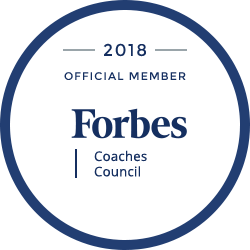 Due to the quantity of coaching hours in some of our large corporate coaching engagements, we must secure availability with our coach teams and thus are able to pass on the cost savings to our clients! Call us today – 281-469-4244 or Contact Us. Your satisfaction is guaranteed! We offer a satisfaction guarantee. At any time throughout your coaching program should your coach not meet your expectations, we will coordinate immediate interviews with our coach team for a re-assignment. And, we will not be satisfied until you and your employee are not only satisfied but enthusiastic about the coaching program and the professional coaching experience. Curious about our Leadership Competency Models? Through the coaching process, your leader will identify their unique developmental objectives which may also include your organization’s Core Leadership competencies, if applicable. We would be delighted to schedule a FREE CONSULTATION to talk with you about your development needs! Call us: 281-469-4244, or you can also Contact Us here. Our C-Suite coaches customize their approach after meeting with the executive. The scope and program fees will depend upon factors such as the leader’s “coaching readiness” and EQ level, assessment needs, coaching methodology, time commitment, flexibility or “on-call” needs, “performance-improvement” vs. “leadership development” objectives, and travel requirements. Of course, we will work hard to accommodate your budget and we will only engage if we believe we can support a successful outcome. Our results-focused, leadership development programs include any or all of the following: coachee selected, senior executive coach, flexible program design and scheduling, rapport building calls, in-house assessment(s) integration, additional assessment(s) and report(s), supervisor input, interview 360° and report, benchmarking/debrief sessions, development planning sessions, three-way meetings, shadow-coaching, hot-spot coaching, email coaching, intermittent assignments, program management and company feedback, objective oversight, guaranteed coach-coachee satisfaction and periodic, non-confidential engagement reports. Every program is custom-designed around your input and may include quantitative (online) 360◦ assessment or verbal, qualitative 360◦ and confidential, aggregate report and debrief session, Personality assessment (Behaviors/Motivators/Competencies/Acumen/ EQ – Emotional Intelligence), competency benchmark session, 3-way meetings, development planning sessions, regular, one-on-one coaching sessions, program management, coach-client matching, and objective oversight. Typical programs include a set number of coaching hours focused on specific outcomes over a set period of time (typically six months). Discounts: When multiple coachees are enrolled, additional discounts will apply. Please call us to inquire – it’s very likely we can help! We look forward to speaking with you! Call us at 281-469-4244, or Contact Us here.